"As the pace of Krabbé’s prose gains and falls in waves of poetic exuberance and drifting doggerel, readers gain deeper insight into cycling, the primeval forces that take control of cyclists, and the possibility for Machiavellian machinations in even the simplest contest of prowess." 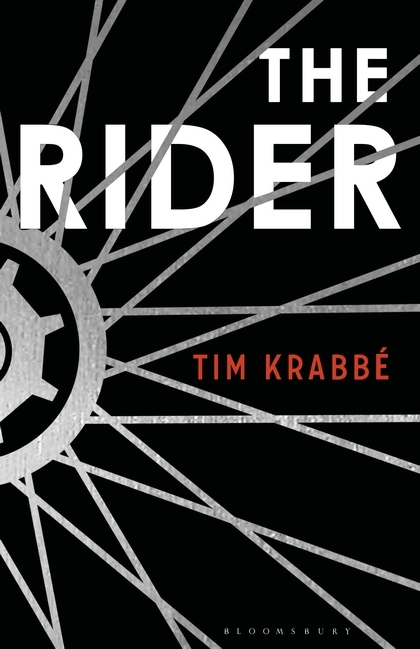 At fewer than 150 pages, Sam Garrett’s translation of Tim Krabbé’s The Rider packs the magnificence and minutiae of classic European cycling into tight quarters. Sprinter not pull his turn. Amateur not spare an ounce. Eighty-odd kilometers into the 1977 Tour de Mont Aigoual, the peloton is forgotten. Forty-plus bicyclists pedaling en masse for eighth place. The lead group consists of seven riders including Krabbé, our protagonist. As a reviewer’s cheat, I’ll hang the translator/author/narrator clarifications here: I have not read The Rider in the original Dutch. I, point of fact, have no plans to learn Dutch, though I have developed an appreciation for the color orange. Therefore, please bear with the careless collapsing of translator, author, and narrator into one imaginary figure—Krabbé. My conceit mirrors Krabbé’s own application of his name to the main character in the novel. Where Krabbé, author of The Vanishing and The Cave, stops and Krabbé, sports journalist-turned-dedicated cyclist, begins is of limited interest here. Rather, the confusion adds fuel to the stirring conflagration of narrative styles and varying tempos in the text. A section in which Krabbé reflects on his sporting career at age five or fifteen can follow on the heels of a description of a particularly grueling climb up one of the race’s many cols. A passage on the history of the Giro d’Italia can distill into a philosophical musing on the order of, “The facts miss the heart of the matter; to give us a clear picture, the facts need a vehicle, the anecdote” (117). Commentators may spin “Chaingate” in terms of bad sportsmanship or unbending drive, but more nuanced and critically sympathetic strands extend from lines or pockets of text in The Rider. As the pace of Krabbé’s prose gains and falls in waves of poetic exuberance and drifting doggerel, readers gain insight into the gentlemanly understandings of cycling, the primeval forces taking control over the cyclists, and the possibility for Machiavellian machinations in even the simplest contest of prowess. The Protean speed of the narrative allows for easy reading on trains, at stoplights, and in snippets before sleep. Yet more likely are dashes of ten or fifty pages, tearing through a third of the novel in a sitting. A quarter of a page might detail a kilometer of cycling as it happens. That this trails a three-paragraph description of a specific race from Krabbé’s career builds force beyond narrative. When combined with nonsense fueled by physical exhaustion, we get a section two-thirds of the way into The Rider, “LITTLE ABC OF ROAD RACING.” Multiple definitions and biographies slide off the page in rants of complete subjectivity. In the same way that tales of his history in sport pair with semihistorical reflections, the accumulation of information and inspiration contributes to the textured evocation of passion that is the text. I fall firmly, as you ought suspect, in the class of cyclists more receptive of Krabbé’s style. I cannot overstate my awe at his ability to consistently capture thoughts with stunning simplicity. There is his early image of the ball bearing unimpeded that is sublime, and his realization, “I bicycle and can read at the same time,” is pure joy. The Rider, if read as a time trial, will be an amusing sports book by a clever writer. If, on the other hand, you attempt to recover memories of the text through a more careful eye to the line, The Rider will reward you for your efforts, as any old route well-attended can gain a novelty pleasing, strange, and most welcome.